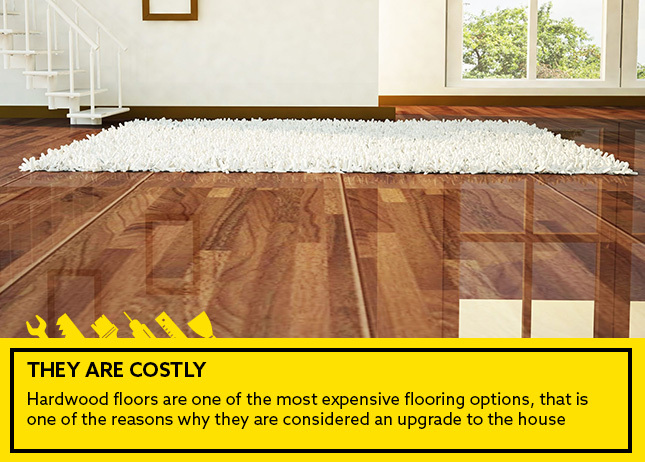 One of the most sought after flooring options, hardwood flooring has been a popular option since forever. 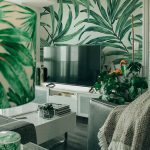 Most people consider the type of flooring installed when they look at a house, and research says that most home buyers favor hardwood floors. 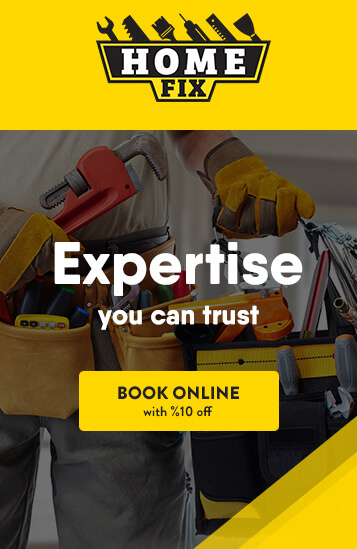 If you are still in the decorating phase though, and thinking whether or not to splurge for getting some wood installed we are here to help you decide. 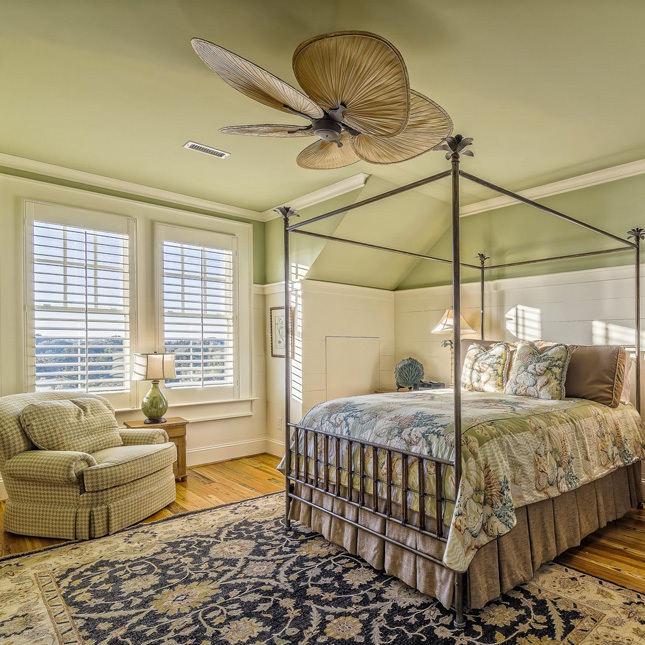 These are the pros and cons of hardwood floors. Hardwood flooring often comes in three main types: Strip, Plank and Parquet. Strip and Plank are very similar; the main difference is that the individual segments in Strip are usually about 1.5 to 2.25 inches wide while Plank segments are usually wider. Parquet floors on the other hand are composed of individual rectangles that make up a geometric pattern. 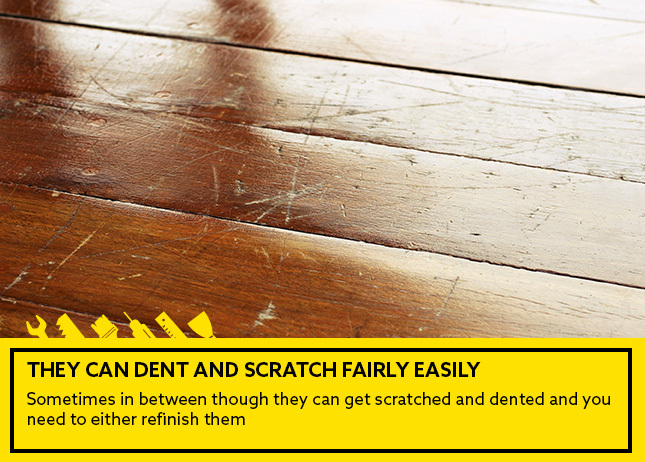 Hardwood floors are immensely durable. 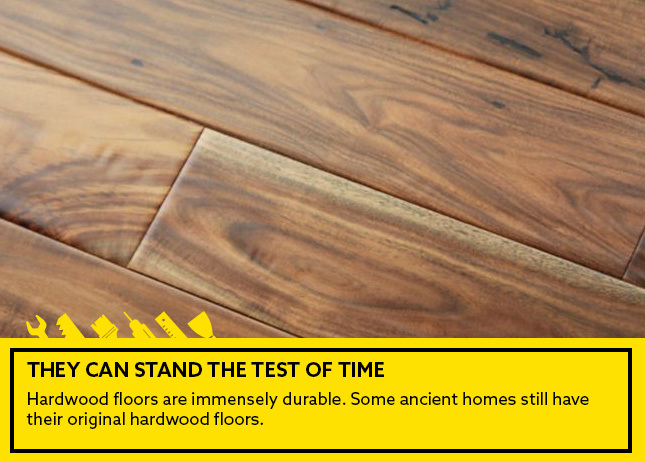 Some ancient homes still have their original hardwood floors. 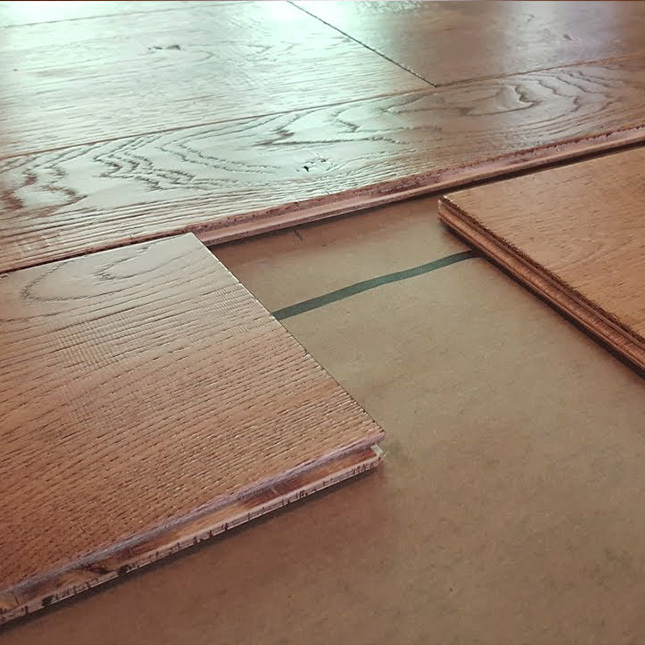 Even if hardwood floors are a 100 years old, they can be sanded and stained to look elegant and fresh. 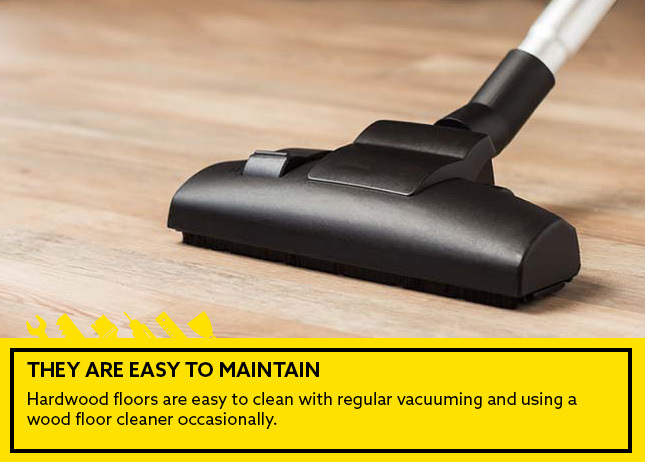 Hardwood floors are easy to clean with regular vacuuming and using a wood floor cleaner occasionally. 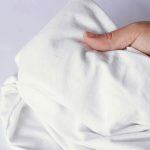 You can also sweep them with a damp sweeper in a second. And unlike carpeting, when you clean hardwood floors you know they are clean. Moreover, they are fixable, if anything happens to hardwood floors; major trauma such as floods notwithstanding, it is almost always fixable. 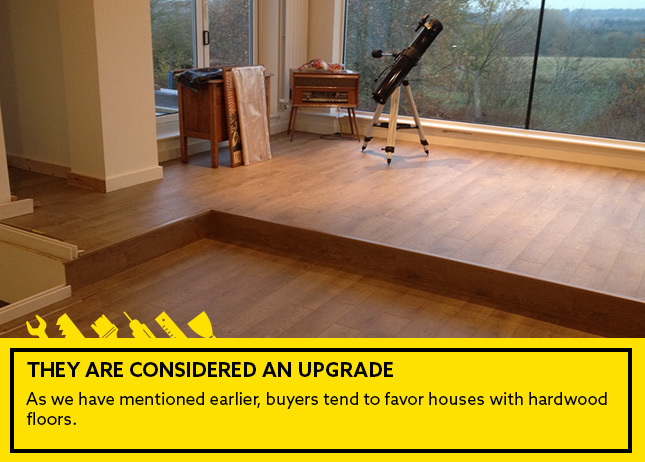 As we have mentioned earlier, buyers tend to favor houses with hardwood floors. 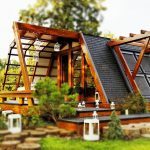 Not only do these houses sell faster, but you can also get a better price for them. 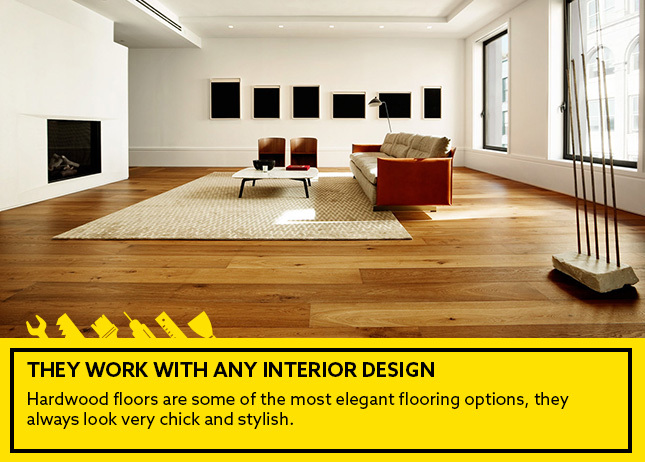 Hardwood floors are some of the most elegant flooring options, they always look very chick and stylish. One of the reasons why these floors are very popular is that they work with any design and style you choose, and almost any color pallet. 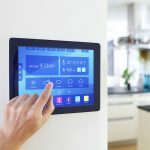 Hardwood floors are one of the most expensive flooring options, that is one of the reasons why they are considered an upgrade to the house; they cost a lot to install. 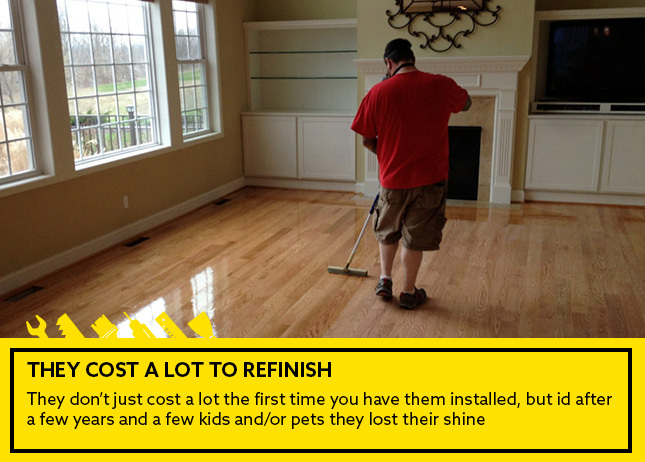 They don’t just cost a lot the first time you have them installed, but id after a few years and a few kids and/or pets they lost their shine, you have to pay a costly sum to have them refinished. 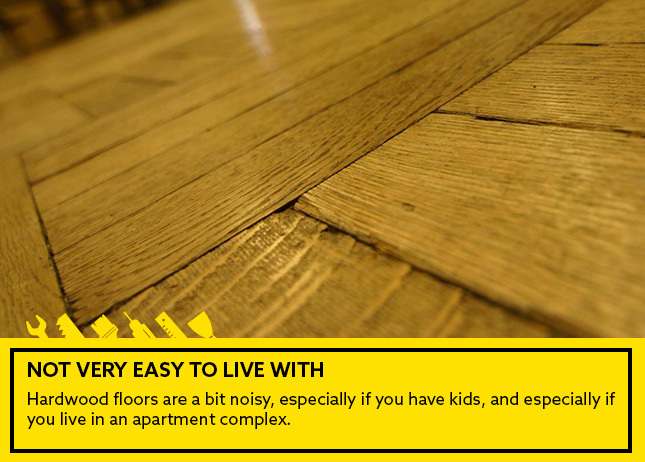 Hardwood floors are a bit noisy, especially if you have kids, and especially if you live in an apartment complex. They are also susceptible to weather condetions; they can get a bit cold during winter and retain heat in the summer. They might not be a great idea for kids’ rooms, especially young kids who are prone to falling, unless you cover them with a large area rug. Hardwood floors look brilliant when they are brand new and brilliant when they are well-aged. 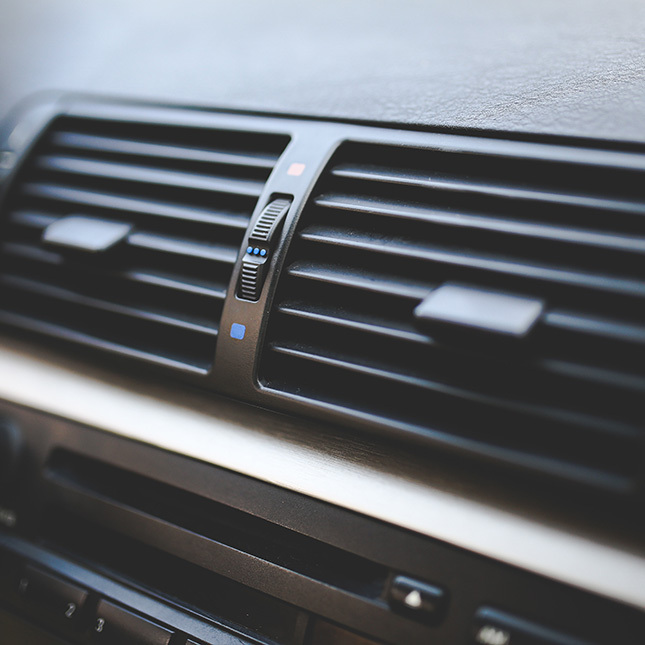 Sometimes in between though they can get scratched and dented and you need to either refinish them or bear with them until the whole area looks aged.